Calling 911 from landline phones, VoIP phones, and cell phones. Despite widespread mobile use, many homeowners opt to keep their landline phone due to safety reasons. Given the reported problems with traditional cell phone service providers and their inconsistencies with 911 dispatchers, it's understandable. Let's walk through what happens when you dial 911 from a landline vs. a cell phone. Landlines and 911: When you dial 911 from a traditional landline phone, the dispatchers automatically see the exact location of the address, so help is sent immediately to your home address. Cell phones and 911: When you dial 911 from a cell phone, GPS-enabled technology is implemented first to grab your location. It can take a few minutes for the dispatcher to get the correct longitude and latitude, which can delay the emergency response. With older cell phones that are not equipped with GPS technology, your exact location may not ever be pinpointed. This means that your exact location must be given to the 911 dispatcher verbally - which is not always possible in an emergency. 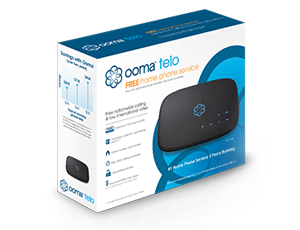 Ooma's VoIP phone service offers the 911 functionality you'd expect from a landline phone. However, it's important to note that you must provide a valid address within your country of purchase when you set up your device, and update your address with the device if you move into a new home. With Ooma's 911 service, emergency calls are routed to your local dispatcher instead of a national call center, and Ooma automatically relays your street address information to emergency services. Ooma also offers a home security system with an app that allows mobile phone access to your home number, meaning you can take your home phone on the go. The app lets you dial 911 remotely, so even if you are across town and an emergency is detected in your home, dispatchers will be sent to your home address. Learn more about Ooma's Remote 911 feature by watching the related video below. To get more details about how Ooma works with 911 services, read our extended FAQs. What makes Ooma different from other VoIP services?